Germans chose Angela Merkel as their first female Chancellor because they knew they could rely on her steady hand. Trained as a physicist, Merkel entered politics as a second career after the fall of the Berlin Wall. She worked her way up the ranks of the right-of-center Christian Democratic Union and became the protégé of famed Chancellor Helmut Kohl, who tapped Merkel to become Minister for the Environment. In 1999, she demonstrated she was beholden to nobody when she wrote an editorial criticizing Kohl for his involvement in a slush-fund scandal, becoming the first member of his Cabinet to break with him. When she became the country's first Chancellor from the former communist East Germany in 2005, she demonstrated her ability to get along with others while cobbling together a diverse parliamentary coalition. She always took in stride the way Kohl referred to her as "my girl," and her unassuming presence has been just right for Germany as it reasserts itself on the global stage. (She has quietly pushed for a German seat on the U.N. Security Council.) Five years into her chancellorship, Merkel's voice has become a global standard, whether it's advocating on the issue of climate change or speaking out in support of austerity amid the economic crisis. 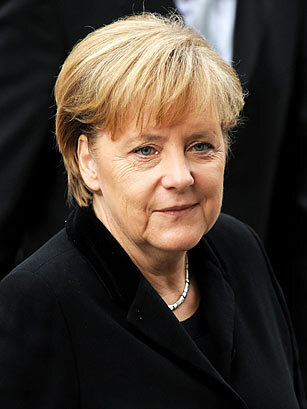 See Merkel in TIME's top 10 female leaders.